Thank you for this history lesson. I was reminded of two books I read years ago: Gore Vidal's novel, Creation, and "Alexander The Great" by Paul Cartledge, which did not put Alexander in a very "great" light. No matter, your brief histories here and in the link you provided makes me want to read more about this ancient history. Shaw: Thanks! I had not heard of the two books you mention, but I'm not inclined to put too much credence in Cartledge. 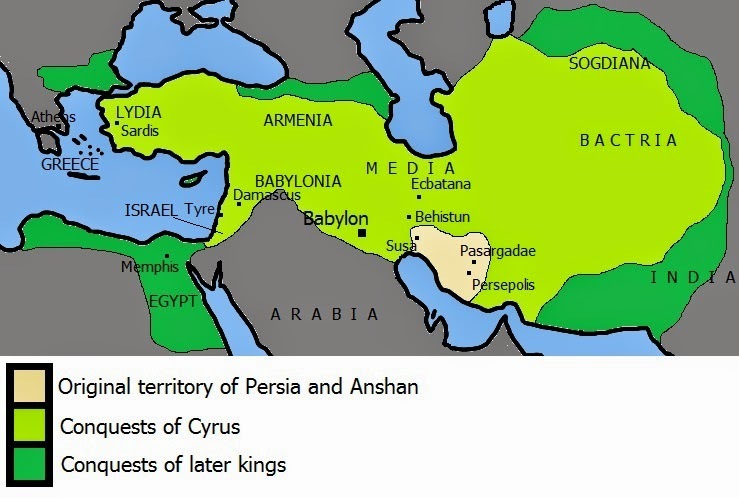 Alexander, like Cyrus, was a product of his time and was capable of brutality that would appall moderns, but historical hatchet jobs on popular figures, based on a "slant" willfully opposite to the commonplace one, are rather fashionable in some quarters. Vidal's book is harder to evaluate based on the description. My main source on the Achaemenid period is A.T. Olmstead's History of the Persian Empire. It's rather old (published in 1948) but massive in its wealth of detail, including aspects of life like economics and science. Tom Holland's Persian Fire (2005) is much lighter reading and more modern in style, but his prose gets a tad purple and he's a bit too eager to make people and events sound "modern". What his book does convey well is the brilliance of the Greek leadership that defeated the Persian invasions. Mary Renault's historical novels are actually quite good and, I think, genuinely capture the feel of ancient Greek culture and everyday life. 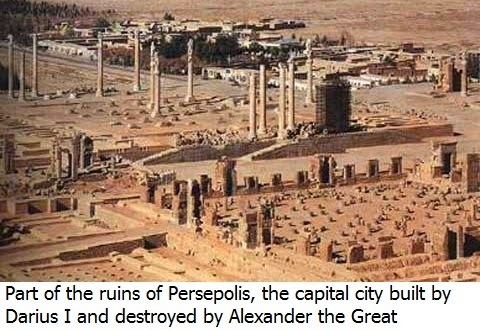 One of them, The Persian Boy, describes Alexander's conquest of the Persian Empire from a Persian viewpoint and makes riveting reading. Obviously novels intermix a lot of fictional reconstruction around real historical events, but she seems to know the period well. She also wrote a straightforward biography, The Nature of Alexander, which is very good but assumes a certain amount of prior knowledge. Marc: Thanks for your interest! History fascinates me and there's so much to write about, even just in the areas of the world I have some knowledge of. 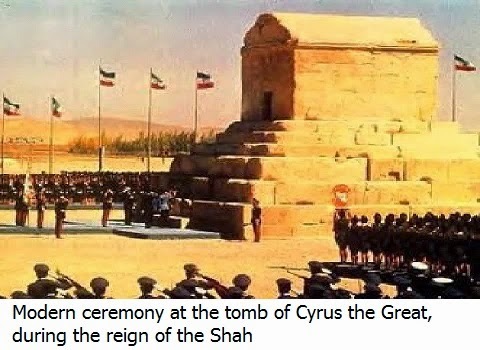 Some time ago I ran across this tribute to Cyrus the Great by one of your fellow DeviantArt artists (an Iranian) and we much impressed with it.